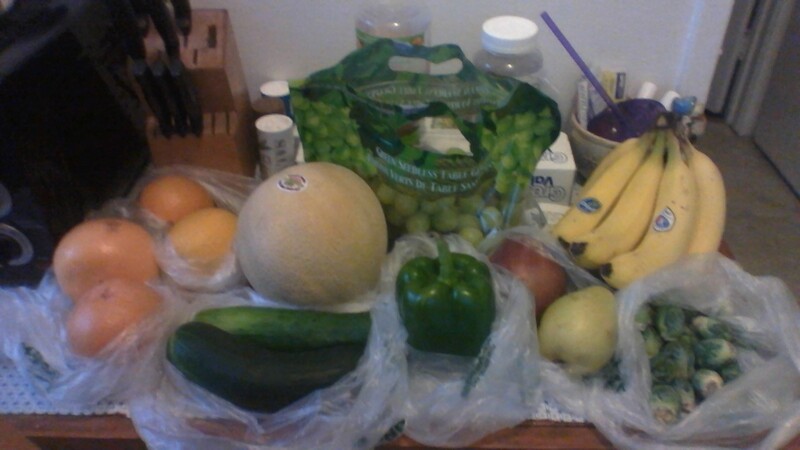 So I went to the produce market that is across town today to get fruits and vegetables. Mostly the fruit for Steph’s fruit week challenge! All for a grand total of…..$12.95!!! and WHOA those cukes look HUGE! each of those cucumbers only cost 25 cents!